Hello, my sweet and wonderful friends! I sincerely hope you are enjoying your summer days. and taking quiet moments to simply breathe it all in. . .
the blessings, the laughter, the memories. All is well here with myself and my family. since I have not posted in quite a while. . .bless you! and I can't thank you enough for thinking of me. which caused me to pull away from the computer. I must confess that I thoroughly enjoyed "unplugging" from the Internet. jeeping around the mountains, and having picnics in fields of wildflowers. Oh, and did I mention my husband and I have been working on our house. . .
lots of staining and repairs along with replacing windows and trim. We are hoping to put a new roof on before fall arrives. during the last month or so and I thought I would share them with you. but I have noticed lately I fall into bed exhausted from having a full day in the sun. How about you, my friends, have you been keeping your nose buried in a book? A couple of weeks ago I finished The Road to Magnolia Glen. 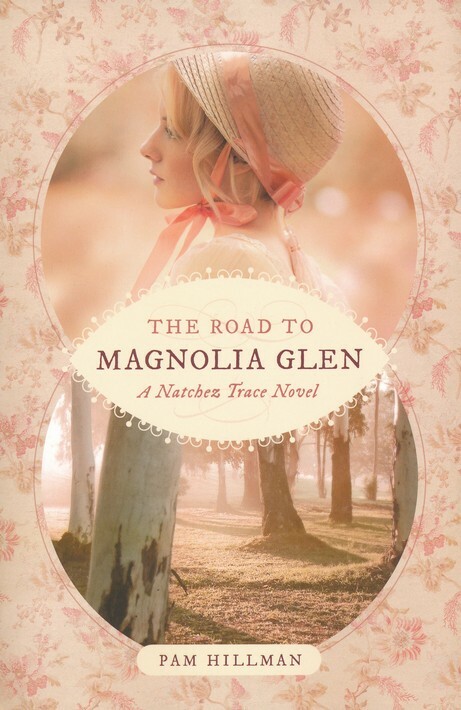 It's the second book in the Natchez Trace series. ready to shuck the weight of his duty and set off on an adventure of his own. It's time Connor, as head of the family, took responsibility for their younger siblings. While aboard ship, a run-in with three Irish sisters lands Quinn in the role of reluctant savior. especially the tenacious yet kind Kiera. Kiera Young prepares to meet her intended and begin her new life. and a far more sinister deal was negotiated for her and her sisters. fully intending to seek his freedom elsewhere. and the more he comes to realize true freedom might be found in sacrifice. The Road to Magnolia Glen. is simply lovely and absolute perfection. . .
beautiful in its own quaint and delightful way. especially Quinn with his Irish accent. Oh, how I loved the Irish brogue. . . I could almost hear it when I read the melodic words. but then the storyline slowed down. . .
in fact it slowed down a little too much. but I found it slightly tedious to read the middle of the book. but the middle just dragged along. but there was just something missing. . . I found it lacking any depth during the middle portion. and one I would certainly recommend reading. doesn't mean it wasn't a good book. was a very enjoyable read. ** I was given a free copy of this book from Tyndale Publishers for an honest review. but I wanted to let you know of a change that is going to take place. I have decided to close my Etsy shop. I have decided that it's time to close the doors. I feel it would be best if I pulled my support from them. and will keep you posted. so if you would like to purchase something please feel free to stop by. Enjoy 10% off your purchase. and when things slow down here I will attempt to start sharing on my blog. Until then please know that you are thought of often.